Cabin Rentals In Helen GeorgiaFind Amazing Cabins In Helen NOW! Welcome! I’m Tom Telford the founder of Cedar Creek Cabin Rentals. Due to extremely high popular demand, Cedar Creek Cabin Rentals is constantly expanding with new cabins for our guests. If you’re a return guest with Cedar Creek, a new cabin offers something you’ve never experienced before. For our first-timers, these new cabins perfectly capture the essence of Cedar Creek, so we encourage you to explore and enjoy them along with the rest. No matter who you are, we would love to share our most recent additions with you. One of the best thing about renting a cabin is finding the one that best suits you and your family. Cedar Creek Cabin Rentals offers the best cabins in North Georgia with the best service team behind them. Now, find out which of our cabins offer their own superlatives in the most sought-after categories! River Wilds lets you feel remote and peaceful in a world apart on its 30-acre plot. With space for 4 adults and 2 children, this cabin is extremely private and offers a natural setting for you to explore. You’ll even be able to relax to the sounds of the Chattahoochee River, audible from the cabin. A remote cabin offers you the chance to get away from the world and get closer to your special someone. Whether it’s romance you’re seeking, or just the chance to slow down and catch up with the one you love, our Cabins For Couples are a perfect match. These cabins are best-suited for a pair of guests, and provide the closeness and distraction-free atmosphere that couples love. Allure will draw you in with its romantic amenities in a cabin made just for two. With a rain shower for couples, indoor spa bath, and an outdoor jacuzzi, Allure has plenty of options to spark an intimate moment. Experience Enchantment with your special someone in a romantic cabin for two. Rustic and charming, Enchantment also delivers a luxurious open floor plan so you and your company are never far apart. Bring your fantasy to life in this magical cabin, which looks and feels like an exotic home right out of a storybook. When you’re bringing the whole family out for a cabin visit, you’re going to need more space and a variety of amenities to accommodate. Find out which of our cabins have the most room, best games, and largest numbers of beds and baths for your clan. Holiday is a family-size cabin perfectly suited for vacation getaways with 6 to 10 people. The cabin includes 3 bedrooms on 3 different levels, and each level has its own bath, so Holiday also offers enough privacy for multiple couples or groups of friends. Deer Crossing is a luxurious 3 bedroom, 2 1/2 bath cabin that’s perfect for small families (downstairs game room w/ XBox- can be removed upon request) or couples who want the comforts of home in a refreshing cabin setting. 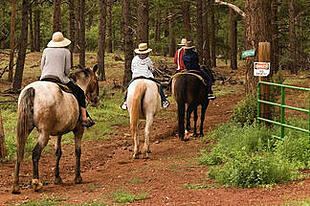 With space for 4 adults and 2 children, Deer Crossing offers amenities for anyone you bring. Your fellow cabin guests have spoken! We want you to know more about some of our most popular cabins so that you can take advantage of the views, comforts, and ambiences that other visitors are choosing again and again. This gorgeous all-wood interior cabin just got a fresh look. Brand new looking beautiful paint job. It has 4-bedrooms and is nestled in a beautiful wooded area with a private walking trail behind the cabin from the back deck. Inside you will enjoy luxurious furnishings and all the modern amenities you desire. We have also recently added a picnic table on the lower deck. Bear Creek is a truly luxurious cabin ideal for a family of four, two couples, or a romantic getaway for two. Check out the brand new firepit that will help build special memories. Bear Creek is incredibly rustic with a real tree posts in the living area for an amazing feel of nature. This all wood, granite and tile surface keeps a cabin feel for your stay. Why Choose A Cedar Creek Cabin Rental Cabin? Leave your hectic city life behind and relax in style in a luxury cabin in the beautiful north Georgia mountains. Secluded cabin settings offer a special way to recharge in the peace and quiet of nature. Beautiful mountain or lake front views provide the perfect backdrop to enjoy time with your friends and family. Our cabins, located near Helen, Georgia, are ideal locations for romantic, family or girlfriend getaways. Larger cabins are great for corporate team retreats. Your charming cabin is only a short drive to excellent restaurants, hiking trails and shopping. Whether you choose a cabin in the woods or a cabin on the lake, your getaway includes many amenities at no extra charge. Enjoy the hot tub, a fully equipped, modern kitchen, comfortable beds, cable T, wireless internet, pool tables and so many more features which will ensure your stay is exceptional and memorable. Of course, you can ignore modern technology and just kick back in the Jacuzzi and enjoy the view! Our promise to our guests is that you to walk into a gorgeous and clean environment which immediately triggers a feeling of comfort and pleasure. As a result of our attention to detail and emphasis on service, the majority of Cedar Creek Cabin’s guests is either referred or repeat visitors. Our goal is to provide The Best Experience for our guests of any rental property. We are working hard to ensure your stay at all Cedar Creek Cabin Rentals properties is a not a one night stand but multiple repeat visits for you, your family and friends. Family Time! My family and I had a phenomenal experience with Cedar Creek Cabin Rentals. They make everything so easy. As if I did not already have enough reasons to love this place, it meant so much that they are also honest people who truly care about their guests. We will definitely return and would recommend 100% a stay in one of their outstanding cabins! Tina B. Family Time! Our first family trip to Helen was a success! The boys thoroughly enjoyed the ping pong table. The views were astonishing. Booking was a breeze and the communication was stellar. We will definitely book again. Bridget S.
Girls GetAway! My sister and I had a girls getaway this past weekend and we stayed in Helen's Creekside Lodge, the cabin was adorable This was our first time using Cedar Creek Cabin Rentals and we definitely will be using them from now on when we visit Helen!! Sheila S.
Mountain Retreat! Recently stayed in the Alpine A Frame and it absolutely perfect. Enough space for eight, amenities, gorgeous view and great location to visit Helen, GA. We loved spending time at the house. Can truly say I would revisit and recommend to friends. Sammie B. Mountain Retreat! Escape from the city to the country. Beautiful area and accommodations. We will definitely be back, and booking through anyone other than cedar creek cabin rentals. would be out of the question. Kyle S.
We make every effort to ensure that your cabin is up to your expectations and our high standards. However, if you feel your booked cabin does not meet the rental agreement description simply call us at the Cedar Creek Office. If our representatives are helping other guests and cannot immediately take your call please leave a message and the best number to reach you. We will return your call as quickly as possible. Cedar Creek Cabin Rental Process: We first work to rectify the issue. If we are unable to do so, you’re offered a similar cabin exchange. If there is not a comparable cabin available, we will provide a full refund for unused days as you depart the cabin. From our opening in 2006, we have served almost 25,000 Cedar Creek Cabin Rental guests. We are especially proud of the consistently high ratings we received from our guests over an extended period of time. Our cabins are frequently described as “beautiful, clean and private.” Ratings on Facebook are currently at 4.4 out of 5. Although we are excited to have many happy customers we continue to strive for excellence in order to earn your trust. Helen has grown and developed over the decades with a focus on creating relaxing, fun, and romantic experiences depending on the guests. The result of that focus on visitors is an abundance of activities to do in Helen, Georgia! Since you can find mountains and forests going in any direction from Helen, hiking, bicycling, horseback riding, and trail running are all popular pastimes. 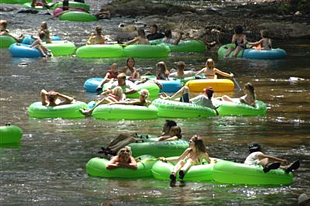 Other outdoor activities might involve one of the many local creeks or rivers for things like fishing, tubing, and gold panning. And if you’re just looking to relax indoors or the weather doesn’t suit your mood, there are plenty of options to dine out. When you’re not hungry, you can visit one of the local spas for your health and beauty needs. Helen, Georgia is able to offer so many unique and fitting activities for guests because of a unifying philosophy that can’t be found anywhere else in the southeast. While there are many beautiful places to visit in North Georgia, there is only one place like Helen, Georgia. The combinations of options are nearly endless, so whether you’ve never been to Helen before or you’ve been a hundred times, there’s always something new to experience. There’s nothing like spending some quality time with the kids. Have fun teaching your children how to fish, enjoying a nice swim or even share the experience of going horseback riding together. Get closer to your loved one by enjoying intimate relaxing moments such as our couples’ Spa Treatment, enjoy the museum and galleries nearby, and end your night with some romantic fine dining and wine tasting. There’s so much to do in the outdoor environment of Cedar Creeks Cabin. Take a trip on the Hot Air Balloon rides, escape in an adventurous hiking trip, bike along the forest trails. Do you feel like dining out? Need supplies? No problem. While all the cabins are private, you can quickly drive back to "civilization." Venture off to one of the local mountain towns of Helen, Clarkesville, Cleveland or Dahlonega to see sites, dine, and shop. 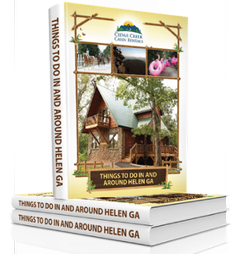 Download The Most Comprehensive Helen, GA Guide... Ever! This guide takes out all the guesswork. It is the guide you will need when researching what to do in and around Helen, Georgia. 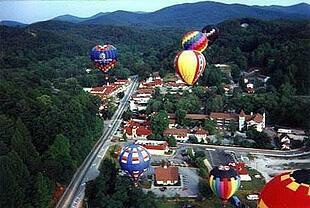 What best describes the reason of your interest in Helen, GA?